The Gala Casino in Bournemouth was sold to Grosvenor in 2014 and is now a Grosvenor Casino. My review was conducted before the switch but the main points remain the same. 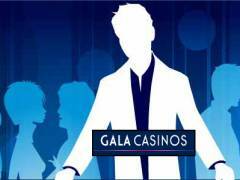 Gala themselves still continue to offer UK players casino games but only via their online website where you can find live dealer games, slots and more. Click here to play online. The casino is located on Westover Road and offers all the facilities you expect from a decent UK casino to be honest. Games include Roulette, 3-Card Poker and Blackjack plus a stack of electronic Roulette machines and the maximum 20 slot machines allowed under a standard UK gaming licence. The casino also has card rooms that regularly host poker games. Or you can just sit back and relax in the lounge and watch the latest and the best in live sport from horse racing across the UK to football matches on Sky and BT Sport. The restaurant offers a fabulous menu complete with great wine list while the bar offers a variety cocktails, spirits and wines. If you fancy a quick bite while gaming, try the Valet Menu that is guaranteed to keep your hunger at bay. Take your food to the floor so you can eat, drink and play at the same time. The Gala Casino is Bournemouth offers valet parking and the nearest public transport is a bus to the town center. A covered smoking zone is also available for smokers. No membership is required to play or dine at Gala and the dress code is smart and casual. Registering for the Gala Fortune loyalty program entitles members to earn and redeem points in any Gala casino across the country on games, food, drink and gift vouchers. The Chargrill restaurant is known for its selection of mouth watering steaks made from Aberdeen Angus beef, aged for a minimum of 28 days. The extensive wine list makes a perfect accompaniment with wines specially selected from all over the world. Try the Sunset Menu with special offers such as 2 courses for £9.95 and 3 courses for £11.95. For those that fancy a quick bite, the Valet Menu consists of finger foods like pizzas, burgers, paninis and more that can be taken to the gaming floor so you can eat and play at the same time. Celebrate a big win at the Epernay Champagne Bar with their range of Moet & Chandon champagnes or spend some time at the 18° Below Ice Bar which stocks a vast range of vodkas, beers, spirits and cocktails - a great place to meet friends or just relax by yourself. The new Air Lounge offers the latest in sport action on large plasma screens. The casino hosts several special events throughout the month including Casino Magic Nights where new players can learn to play Roulette and Blackjack, Dice Magic nights where you can learn to play the game, Hen and Stag Nights, restaurant offers and much more.